From the bestselling author of Alias Grace and the MaddAddam trilogy, here is the #1 New York Times bestseller and seminal work of speculative fiction from the Booker Prize-winning author. Now a Hulu series starring Elizabeth Moss, Samira Wiley, and Joseph Fiennes. Includes a new introduction by Margaret Atwood. Look for The Testaments, the sequel to The Handmaid’s Tale, coming September 2019. Offred is a Handmaid in the Republic of Gilead. She may leave the home of the Commander and his wife once a day to walk to food markets whose signs are now pictures instead of words because women are no longer allowed to read. She must lie on her back once a month and pray that the Commander makes her pregnant, because in an age of declining births, Offred and the other Handmaids are valued only if their ovaries are viable. Offred can remember the days before, when she lived and made love with her husband Luke; when she played with and protected her daughter; when she had a job, money of her own, and access to knowledge. But all of that is gone now…. 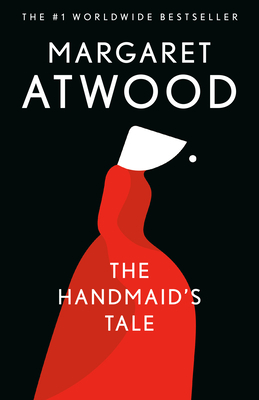 Funny, unexpected, horrifying, and altogether convincing, The Handmaid's Tale is at once scathing satire, dire warning, and literary tour de force. Margaret Atwood, whose work has been published in thirty-five countries, is the author of more than forty books of fiction, poetry, and critical essays. In addition to The Handmaid’s Tale, her novels include Cat’s Eye, short-listed for the 1989 Booker Prize; Alias Grace, which won the Giller Prize in Canada and the Premio Mondello in Italy; The Blind Assassin, winner of the 2000 Booker Prize; Oryx and Crake, short-listed for the 2003 Man Booker Prize; The Year of the Flood; and her most recent, MaddAddam. She is the recipient of the Los Angeles Times Innovator’s Award, and lives in Toronto with the writer Graeme Gibson.